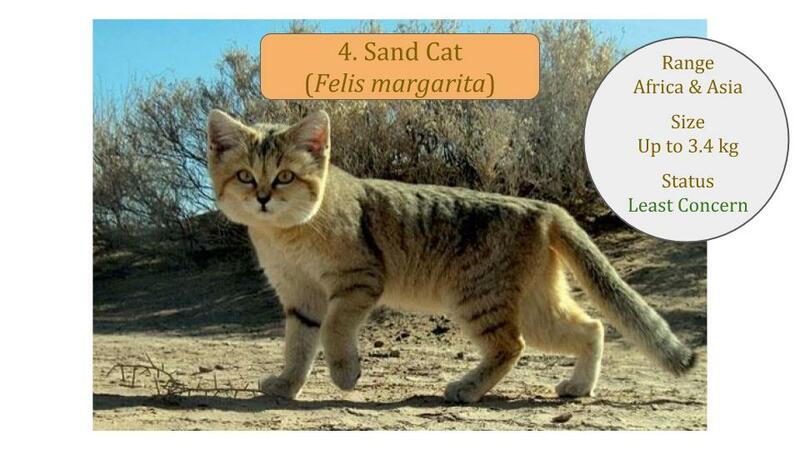 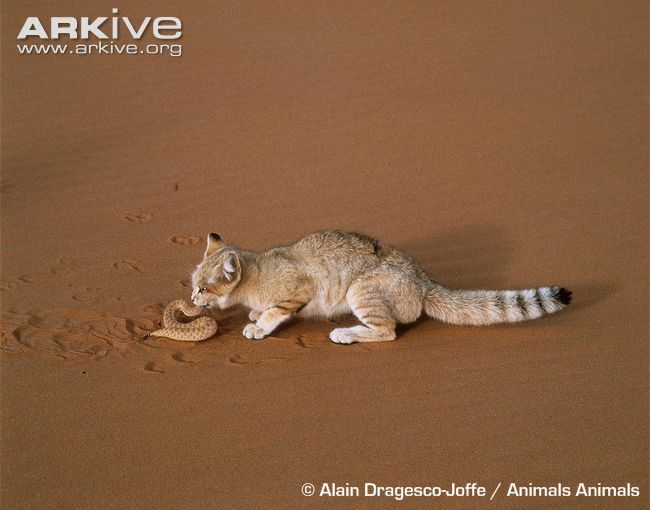 The Sand Cat (Felis margarita) is one of the few wild cat species occurring in very dry desert habitat. 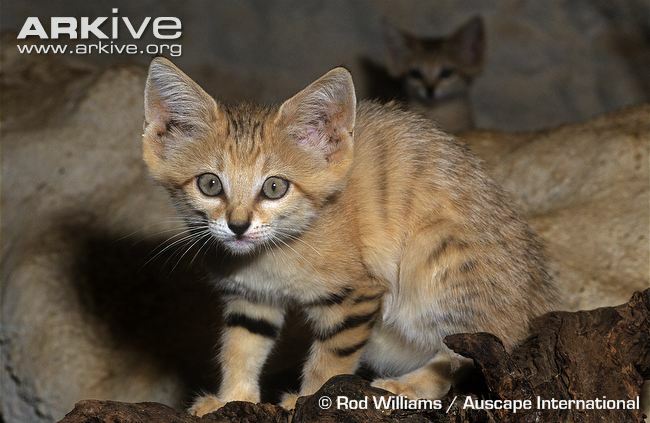 Large ears and thickly furred pads are special adaptations that allow the cat to detect underground prey and survive in extreme conditions. 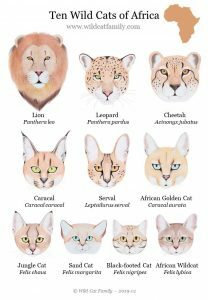 Due to the remote, harsh terrains of its habitat, limited research has been conducted and populations and actual ranges are mostly based on estimates. 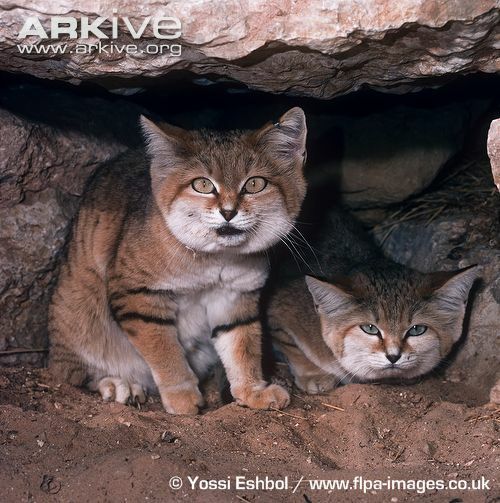 The global conservation status for the Sand Cat is Least Concern (LC) due to the wide range and estimated numbers, however it is not abundant anywhere and occurs naturally at low densities.